Celebrate the 4th Anniversary of the Beach Hut Deli! One of Newport Beach's hidden gems. We will be serving up Wine & Beer Tastings - Craft Beer, Fine Wine, and Great Friends! Opportunity Drawings - amazing prizes! Tap Takeover - King Harbor Brewing Co.
Donation to a local non-profit! Don't miss out! Tickets $20 - Early Bird Special! Buy your tickets below! Only 50 early bird tickets available. Get yours now! Did you know that some of the best craft beers are brewed locally? Join us at Newport Beach Brewing Co. for some locally brewed Craft Beers and a variety of Scotch! Brewmaster, Derek Bougie leads this behind-the-scenes craft beer journey. EXPO 4 Life's Monthly Taste for a Cause will feature a Tequila and Wine Tasting at Envy Lounge, located in Newport Beach. Proceeds benefit the non-profit organization The Leukemia & Lymphoma Society. September is Childhood Cancer and Leukemia Awareness Month so please join us for a unique tequila and wine tasting and help us eradicate cancer. Join us at EnVy Lounge benefiting Unspoken Heroes. This monthly Taste for a Cause will feature a Tequila and Wine tasting at Envy Lounge, located in Newport Beach. Your donation will benefit the non-profit organization Unspoken Heroes. Brought to you to you by EXPO 4 Life Events. Join us for an evening of Beer and Wine Tasting at Vegan Faire Anaheim. Indulge in some of the areas best Craft Beers and Organic Wines! Wristbands will be provided to each entrant. They must be worn at all times. Must be 21+ to Attend. ID's checked at the door. The 3rd Annual Vegan Faire will showcase over 80 Vegan, Artisan, Wellness, Fitness, Food and Beverage Vendors from all over the country. Last year, there were over 4,000 attendees! Live Music and presentations will be playing throughout the evening. Along with free Yoga Classes and much more! The Beer & Wine Tasting Garden is 21+. Tasting Ticket includes unlimited wine and beer tastings. Vegan Faire is free to attend and open to the public. Join us this June for our Monthly Taste for a Cause at Café Gratitude. For your tasting pleasure we will have some of the area's best Organic Wines and Mexico's finest Mezcals. All paired with Cafe Gratitude's Gourmet Cuisine. Their Story...Honoring the tenets of Yoga, we aspire to create world-class products. to give back, we've meticulously designed every part of the whole, one breath at a time. Join us this May at our Monthly Taste for a Cause! Sip on fine wines and exotic rums at Twenty Eight Restaurant and Lounge in Irvine, CA. Executive Chef Shirley Chung will be preparing gourmet Asian-fusion cuisine just for us! Proceeds benefit The Eli Home, Breaking the Cycle of Child Abuse. Join Us for the 4th Annual Whiskey & Wine Tasting to Wipe out Blood Cancer! Enjoy quality wine and whiskey tastings at Malarky's Irish Pub while raising funds and awareness for LLS SoCal Cancer Connection. Malarky's is also donating 20% of all food and beverage sales! We are raising funds for The Leukemia and Lymphoma Society and raising awareness of SoCal Cancer Connection to connect young survivors so they don't go through cancer alone. We appreciate your support and look forward to seeing you there! • $4 Pints all night long! $10 donation online or $15 at the door. Make a $10 donation to participate in the tasting portion and receive a flight of 5 different beers, 4 wine tastings and lite bites. All the proceeds to go to support the fight against Human Trafficking. Party with Santa & Mrs. Clause for a Cause! Please visit www.ocsantacrawl.com for more info! See all details at OCSantaCrawl.com! Join us for our Monthly Taste for a Cause at the legendary Las Brisas in Laguna Beach. Sample quality wines and tequilas paired to perfection with chef-selected tasting menu. Remember, Expo 4 Life's Monthly Taste for a Cause events are fundraisers. Invite friends to raise even more money for this great cause! Astoria at Central Park West! Multiple networking and business groups will be in attendance so bring plenty of business cards. along with tantalizing Italian appetizers at this "secret" speakeasy. 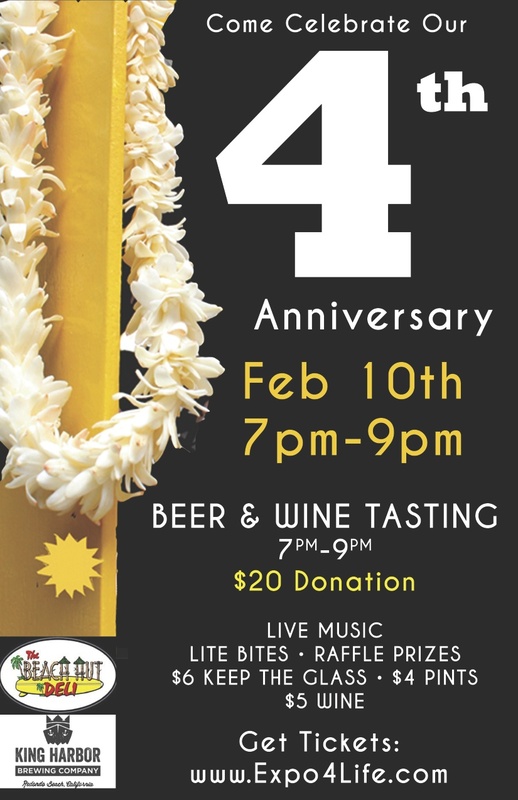 EXPO 4 LIfe's Monthly Taste for a Cause benefits The Surfrider Foundation. Please join us for Astoria's Grand Re-Opening Celebration, An International Affair. Enjoy an evening of flair, flavor and fundraising as you embark on a journey through Orange County's most elite community – Astoria at Central Park West. Advanced RSVP Required to Attend. Join hundreds of Pin Up Girls and Greasers as we take over the streets of Newport Beach in our 1st Annual Pin Up Doll and Greaser Crawl. Dress as your favorite "Outsiders", "Grease" or "West Side Story" character and sip classic cocktails by Campari and Deep Eddy Vodka. Visit Greaser Crawl Tickets to Purchase Your Tickets and to See All Details. We'll start out at Rudy's Pub and Grill at 1pm before we crawl on to Malarky's Irish Pub, to Newport Brewing Co, and finishing at American Junkie. This is a Charity Pub Crawl! Twenty percent (20%) of all sales, including food & beverage sales, benefit The Leukemia & Lymphoma Society. We're on a mission to #CureCancer! Join us for this month's Taste for a Cause as we travel to Tavern + Bowl in Costa Mesa to enjoy fine wines and a flavor burst of Svedka vodkas. A Portion of proceeds benefit Benefit The Leukemia & Lymphoma Society's efforts to find a cure for blood cancers. Celebrate with discounted Martinis and White Russians. We'll be bowling after the tasting! Join us for this month's Taste for a Cause as we gather at one our favorite local joints, Beach Hut Deli. We'll be enjoying one of Southern California's Best Native Brewing Companies, Mike Hess Brewing Company. Benefiting The Leukemia & Lymphoma Society. RSVP Online in advance! $25.00 at the door. Sample delicious, high-octane beers by Valiant Brewing Co. and Barley Forge Brewing Co.
100% of Silent Auction Proceeds + 20% of Ticket Sales and Food & Beverage Sales benefit The Leukemia & Lymphoma Society. 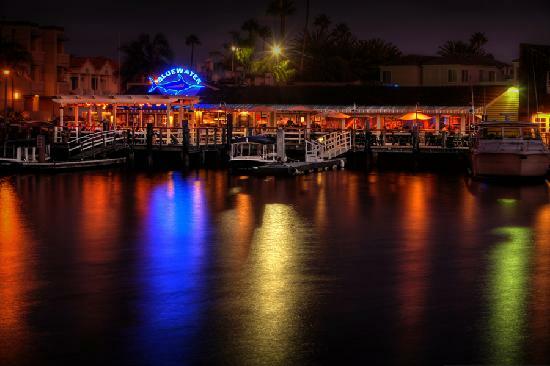 Join us for the 3rd Annual Newport Beach Santa Crawl - A Charity Pub Crawl! Take Newport Beach by Santa Storm and help raise funds and toys so the kids at The Eli Home could have a great Christmas! This Year's Stops include Malarky's Irish Pub, Newport Brew Co, Avila's El Ranchito, and American Junkie! Meet at Malarky's Irish Pub at 1pm to pick up your exclusive wristband! Dress in your best Santa or Santa's Helper outfit as we take over Newport Beach! We needed an excuse to get together before our HUGE Santa Crawl in Newport, and what better way to celebrate than a pre-party! Come one, come all to the Beach Hut Deli in Costa Mesa for a fun night of Happy Hour, Socializing, Networking, Music, and of course, drinking lots of GREAT Beer!! *The toys go to The Eli Home of Anaheim - Helping put a stop to child abuse. Join us for an evening of style, pampering and wellness while we support Hope for the Warriors. Bid on jewelry, clothing, gift certificates and many other great products & services. Philanthropy Never Looked So Good! Summer may be over but it's year-round at Beach Hut Deli! Join us to sample craft beers, great wines and contribute to a great cause! Portion of Proceeds Benefits The Leukemia & Lymphoma Society. You're Invited to Italian Riviera - an Intimate Evening of Fundraising and Fashion! Sip on Italian Beach Cocktails and Bellinis while receiving 10% off La Perla's newest swim collection. Ten Percent (10%) of All Sales Donated to The Leukemia & Lymphoma Society. Please RSVP by Monday, 7/21. Grab your friends and swimsuit and join us for an evening of bikinis, hosted bar, appetizers, and pool time! $20 Donation & Opportunity Drawing Benefiting The Leukemia & Lymphoma Society! Help us fund cancer research and patient services and find a cure for blood cancers. Wine and Liquor reps will be pouring COMPLIMENTARY tastings at Bluewater Grill, plus sample their amazing world renown Clam Chowder and Fresh Fish dishes. Bluewater Grill is also donating 20% of all food and beverage sales to benefit a local charity. All sales are final. Proceeds benefit a local charity. Grab your girlfriends and join us for an evening of style and beauty! At Girls Night Out, you and your fabulous friends will discover unique designs, sip delicious drinks,and relax with pretty pampering and glorious Gift Bags. Silent Auction to Benefit The Leukemia & Lymphoma Society! Join us at one Orange County's elite American Restaurants as we mix and mingle sampling some of the best Wine and Tequila around along with some passed tapas. This is your chance to experience one of Laguna Niguel's finest. Mix and Mingle, whether your taken or single. They go up at-the-door. And like the last event, this event will sell out so buy your Tasting Ticket soon! Keep an eye out for our Monthly Taste for a Cause series. This is a Fundraiser. A portion of the proceeds will be donated to The Leukemia & Lymphoma Society. Enjoy amazing Wines, Spirits, and Food while making a contribution to a great cause. This is your chance to experience one of Laguna Niguel's finest. As always, you know you'll indulge in fantastic tastings, support a great cause and have a great time! Have a cause you'd like us to support? Email me with suggestions. Craft Beer Tasting at Newport Beach Brew Co.
Did you know that some of the best beers are brewed locally? 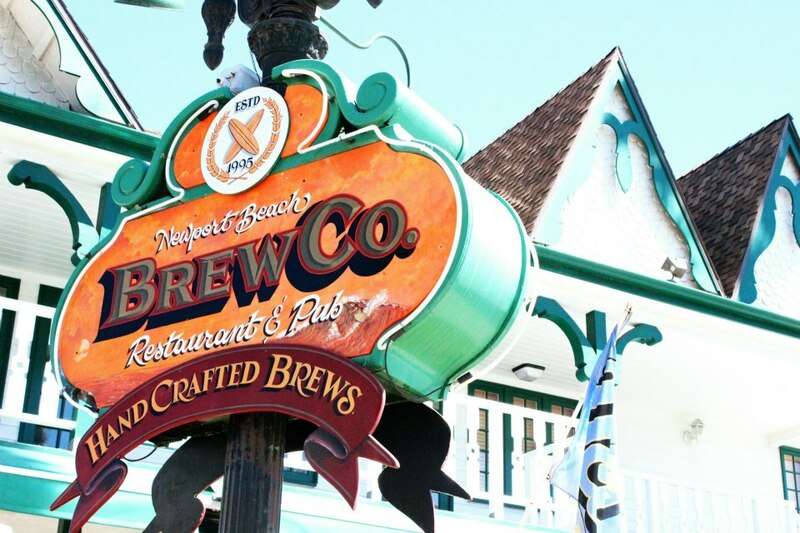 Join us March 31st at 6PM at Newport Beach Brewing Co. for some locally brewed Craft Beer Tasting! A portion of event proceeds will be donated to The Eli Home, fighting child abuse. Advance Tickets Sales Now - March 17th. This is a Fundraiser. A portion of the proceeds will be donated to The Eli Home. Enjoy amazing wines, spirits and gourmet bites while making a contribution to a great cause. If you've attended our previous events then you know you'll indulge in fantastic tastings, support a great cause and have a great time!